Uva is unparalleled in natural beauty and its attractions are both colorful and interesting providing fascinating insights into its natural and cultural heritage. This is a dramatic rift in the southern mountain range where the land plunges 3000 feet to the coastal plains in the far distance offering a panoramic scenery. 05 minutes from the hotel by surface. 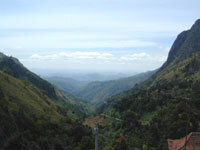 Sri Lankas highest and most isolated plateau at an altitude of almost 1900 meters. A breathtaking exciting worlds end within the plains is a sheer drop of more than 1050 meters. 90 minutes from the hotel by surface. 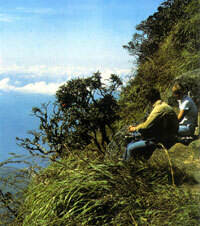 Very much popular with bird lovers where a large selection of Sri Lankas 427 bird species are found. 45 minutes from the hotel by surface. Madulsima mountain range at the border of the Uva Province plunges to the eastern plains offering an enchanting panorama. 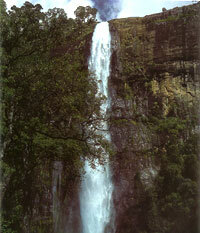 560 ft high falls is Sri Lankas highest perennial waterfall and is considered as the 6th highest in the world. 45 minutes from the hotel by surface. Sri Lankas loveliest and most dramatic smoky water Fall is 190 ft and flows down a narrow forested gorge. 45 minutes from the hotel by surface. This cascading 790ft falls is Sri Lankas highest beautifully sited in secluded and serene surroundings. 1.5 hours from the hotel by surface. This cascading fall offers a pleasing site to the motorists with its easy location along side the main road. 20 minutes from the hotel by surface. 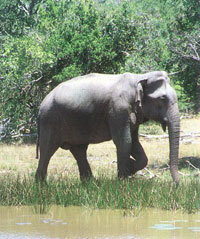 Uda walawe national park, more than 30,000 hectares in extent located in the intermediate zone is home to large numbers of Elephants, spotted dear, Sambur, Wild boar etc. The colossal 34 ft Buddha statue at Maligawila dates back to the 7th century A.D and is carved from crystalline limestone. 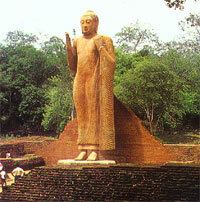 In close proximity at Dambegoda is another 25 ft high statue of the Avalokitheswara Bodhisatva, a future Buddha. minutes from the hotel by surface. Carved in high relief on a cliff face, this 7 statue complex comprises of the tallest standing Buddha statue  51 ft and others highlighted in the Mahayana sect of Buddhism traced back to 8th  10th centuries AD. Bordering the main highway, This cave temple has murals and inscriptions attributed as works in the 1st Century BC. 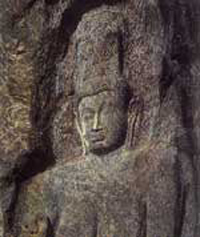 An unfinished rock cut standing Buddha statue carved on the adjoining cliff face is another highlight. 10 minutes from the hotel by surface. A shrine built by enshrining the jaw-bone of lord Buddha in the 4th Century AD at a site personally blessed by Lord Buddha during one of his three visits to Sri Lanka, and hence is one of the sixteen most venerated places for Buddhists in Sri Lanka. 120 minutes from the hotel by surface. 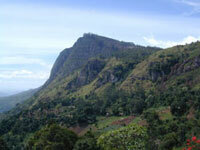 Another scenic site of Sitas concealment on the Ella rock near the Rawana Ella falls. King Rawana of Sri Lanka associated with the epic Ramayana is supposed to have kept princess imprisoned here after abducting her after defeating her husband Rama. 20 minutes from the hotel by surface. Situated bordering the main highway to Nuwara Eliya, This colorful shrine was created to pay homage to Princess Sita. It is known as the place where princess Sita after being rescued by her husband Prince Rama, proved her innocence and chastity by putting her fingers into a boiling pot of oil. The only Kandyan period roofed wooden bridge built during the 16th century, constructed gracefully over the Gallanda Oya is elegantly supported by 11 pairs of elegantly carved pillars and a railing of banisters. Sri Lanka was referred to as Liptons Tea garden during the British period. These were the favorite look out points of the pioneering Tea planter  Sir Thomas Lipton. 60 minutes from the hotel by surface. The great pilgrims center, where a shrine devoted to God Skanda was built to be visited by people of all faiths throughout the year. The country residence of Sir Thomas Villiers, a distinguished British resident of the early 20th Century turned into a Benedictine monastery is now famous for its flower gardens, orchards and its unique architectural design. © Copyright 2004 Hotel Country Comfort.